Will the rulebooks in other languages be available in PDF as well? What is this money back guarantee you speak of? Here at ThunderGryph games we want to give every backer a pleasant and risk-free Kickstarter experience, and since we are so confident that you will love the game we are ofering a Money-back guarantee policy with no questions asked, if you don't like the game you can return it for a full refund. I backed Overseers, should I do something to get the Cotton Bag? As long as your kickstarter email is still the same, you don't have to do anything special, it will be automatically added post-campaign on Backerkit. Does the playmat fit inside the box? 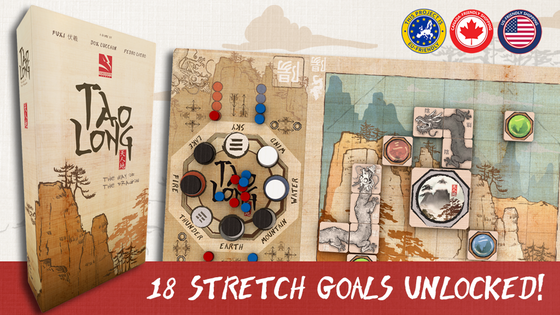 In fact, everything fits in the box nicely (even expansions and stretch goals), the playmat is rolled inside the box just like in the game "Onitama". Will the rulebooks in other languages be available in PDF as well? How do I add an Add-On? What is this money back guarantee you speak of? I backed Overseers, should I do something to get the Cotton Bag? Does the playmat fit inside the box? I want to know when my reward is shipping. I am having trouble filling out my survey. I would like to make a change to my pledge. I would like help with preorders. I have a issue with my pledge finances. I have a question for the project creator. I have a question not listed here. I want a refund for my initial campaign pledge. I have a question about BackerKit.